Yashada Aarambh in Moshi, Pune by Yashada Nivasa Associates is a residential project. 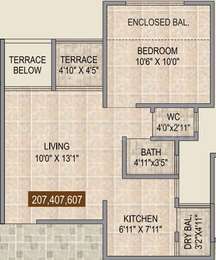 The size of the Apartment ranges in between 43.0 sq.ft. 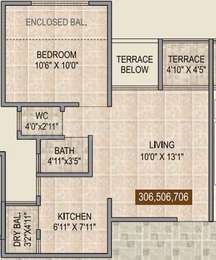 and 587.0 sq.ft. Yashada Aarambh price ranges from 27.20 Lacs to 39.79 Lacs. Yashada Aarambh offers facilities such as Gymnasium and Lift. It also has amenity like Swimming pool. This is a RERA registered project with registration number P52100002191. It is a new launch, ready to move and und project with few units already sold out. The project is spread over a total area of 2.1 acres of land. Yashada Aarambh has a total of 5 towers. The construction is of 8 floors. An accommodation of 280 units has been provided. Where is Yashada Aarambh located? The project is located in Moshi, Pune. 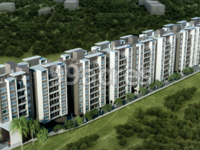 What are sizes of apartments in Yashada Aarambh? The apartment sizes in the project range from 43.0 sqft to 798.0 sqft. How much is area of 1bhk in Yashada Aarambh? The area of 1BHK units in the project varies from 314.0 sqft to 412.0 sqft. 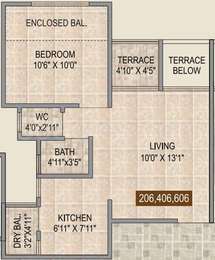 What is the 2 bedroom size in Yashada Aarambh? 2 BHK units in the project are available in a size of 43.0 sqft to 587.0 sqft. How much is the actual area of Yashada Aarambh?The area of the project is 2.1 Acres. How many units are there in Yashada Aarambh?The project offers a total of 280 units. Decorative glazed tiles up to lintel level.